helios lubeoil's decisions affect the long-term responsible management of resources which we consider professional. Develop and adapt products and structures resistant and Incessant, as well as the continuously Ongoing, is our daily endeavor. helios lubeoil's economic activity is to create sustainability through sustained economic success. This results in a positive eco-balance. Since 2017, we have replaced raw materials with synthetic fluids to further strengthen sustainability. Environmental Social Governance (ESG) issues are included in investment planning + decision making processes. (For example, 2019-04 complete replacement of products for ESG forestry + wood industry products with waterborne saw chains fluids, also for electric + battery saws, etc.) EAL (bio) products will be replaced if possible with technical performance compatibility. This is done in close cooperation with our manufacturers. helios lubeoil wishes come in. Member UNITI Bundesverband mittelständischer Mineralölunternehmen e.V. helios lubeoil QHSE lives in our ISO 9001 System. A lubricant formulation generally consists of many individual substances. These include the base liquid and a number of different additives, neutralizing agent, etc. The individual substances conforming to the new EU chemicals legislation (REACH) will be registered in the future. The extent of the amount of data that needs to be reported for each substance depends on the manufactured / imported quantity. REACH is a substance based system, ie mixtures (preparations) of substances are in principle not registered. Expressly exempted from registration are polymers. The provisions of REACH for exemption from the registration requirement (s. Annex V) sit on the EU Directive 67/548 / EEC (EINECS = European Inventory of Existing Commercial Chemical) to. a) a stabilizer, dye, flavor, antioxidant, filler, solvent, carrier, surface active agents, plasticizers, corrosion inhibitors, anti-foaming agents, dispersing agents, precipitation inhibitors, drying agents, binder, emulsifier, demulsifier, dewatering agents, agglomerating agents, adhesion promoters, flow auxiliaries, pH neutralizing agents, lubricant, chelating agent, or quality control reagent performs its intended function. " Therefore, in the lubricants sector all materials used in the recipes must be registered, including those specifically formed during the production of the lubricant materials, eg certain thickener in fats, so called. "Identified substances". While the raw materials used must be registered by their respective manufacturers or importers, the substances specifically produced in lubricant production is usually provided by lubricant producers have to register himself. This paper represents the views of experts of the VSI and the UNITI, but does not guarantee that legal certainty. VSI and UNITI are the professional associations of lubricants manufacturing and trading with these companies in the petroleum industry. We refer in this connection to the BDI-help and here specifically to 3.1.3 "obligations of downstream users - formulators of preparations" 3.1.4 "Rights downstream user" 3.3.1 "industry aid - Obligations of the manufacturers and users of lubricants"
"... The REACH Regulatory Committee on 05.02.2015 a draft for the adaptation of the REACH Regulation regarding Annex II" has agreed requirements for the preparation of Safety Data Sheet ". Background: In the CLP Regulation (EC) No. 1272/2008, published in December 2008, 5 Changes to the old Annex II of the REACH Regulation are in Article 59, paragraph defines the contact into force 1 June 2015... In May 2010, the old Annex II of the REACH Regulation by Regulation (EU) 453/2010 has been amended; Annex II to Regulation (EU) 453/2010 also enter into force 1 June 2015. The amendments to REACH Annex II by the CLP Regulation and Regulation (EU) 453/2010, which come into force respectively on 1 June 2015. have led to some contradictions. For clarification, the EU Commission has therefore prepared a draft regulation with a new text for Annex II, which is to be applied from 1 June 2015 ... "
All fabrics produced or imported by Houghton in Europe have been pre-registered in accordance with the requirements of REACH and the registration by June 2018 is in progress. The majority of our products are mixtures of chemical substances for which we source raw materials from upstream suppliers. According to the REACH regulation, we are thus considered downstream users and, in the role of the formulator, are obliged to use only REACH-compliant raw materials. The obligation to register, if the respective chemical substances are subject to this, is the responsibility of the suppliers or upstream actors in the supply chain. We have contacted all suppliers of source materials for confirmation regarding REACH and have obtained a clear status based on the answers regarding the (future) REACH conformity of our raw material portfolio. To ensure the uninterrupted supply of our products, we are currently working to replace the materials that will become unavailable after the final registration deadline of 2018. For new chemical substances, the confirmation of the REACH conformity is as before a significant part of the internal approval process. As confirmation serve on the one hand information in the safety data sheet (SDS). in the form of a REACH registration number, but also written declarations by the suppliers. In particular, these declarations are required when a substance is not subject to registration requirements or has not yet been registered but has been pre-registered by the supplier or an upstream actor in the supply chain. 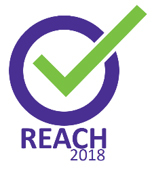 REACH requires extensive knowledge of how chemicals are used, especially how they are handled throughout their lifecycle from manufacturing to disposal. Substances presenting a hazard to humans or the environment require a so-called Chemical Safety Assessment (CSA). Furthermore, the development of exposure scenarios is part of the REACH registration to demonstrate the conditions under which the use and handling of a chemical is safe. Since only the second of three registration deadlines has passed, a number of substances used to formulate our products are still unclear as to whether our use of the fabrics and our end use are covered by our customers. We have proactively communicated to our suppliers both our use of chemicals and the use of our products known to us by our customers. We have used an efficient identification and communication process developed by the Technical Association of the European Lubricants Industry (ATIEL) and the Technical Committee of Petroleum Additive Manufacturers in Europe (ATC) 1. For this purpose, substances along the entire supply chain were assigned to the applications of lubricant products, thereby contributing to the development of exposure scenarios by these associations. However, some substances have already been registered in advance. As soon as this is evident from the receipt of the updated SDS and / or information on the website of the European Chemicals Agency, the indicated uses are compared with ours and those of our customers. Most of the substances on the Candidate List of Substances of Very High Concern2 have been replaced in our products in recent years. Based on information provided by our suppliers, substances of very high concern identified in products marketed by Houghton at 0.1% or more are listed in Chapter 3 of the safety data sheet. Boric acid is a proven and widely used lubricant ingredient for the metalworking industry. In general, concentrates for metalworking contain boric acid in neutralized form, but in the application diluted with water, the release of boric acid can not be excluded. In recent years, boric acid concentrations in most metalworking lubricants have been lowered to the point that no hazardous substance labeling is required. The limits of concentration stated in the publication of the EU decision on the classification of boric acid and the publication of the CLP Regulation's First Adaptation to Technical and Scientific Progress (ATP) in September 2009 (Annex VI, Table 3) 3 confirmed, since at these concentrations it can be assumed that boric acid and boric acid salts pose no significant hazard. We will continue to follow the boric acid status in the ECHA (European Chemicals Agency) recommendations to the EU Commission for inclusion in Annex XIV of REACH (i.e., the Authorization List). If a product contains more than 0.1% boric acid, it will be reported as other substances of very high concern in the relevant SDS of the product. to include manufactured products in the safety data sheet or to provide them as an annex. To be able to offer an established product portfolio, a few products will no longer be available. We remain in close contact with our raw material suppliers to ensure registration, including uses relevant to our products and supply of non-SVHC-containing raw materials. We will pass on any significant change affecting the safe use of our products as soon as we receive the relevant information from our suppliers. 3 Based on EU CLP Regulation No 1272/2008 and Adaptations, Annex VI, Table 3.1, List of Harmonized Classification and Labeling of Dangerous Substances, mixtures containing ≥5.5% boric acid are considered to be toxic to reproduction, category 1B. to mark..